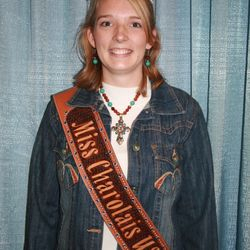 Program donations may be made to "Miss Charolais USA - MCBA"
Miss Charolais USA will receive a $1000 scholarship sponsored by AICA. 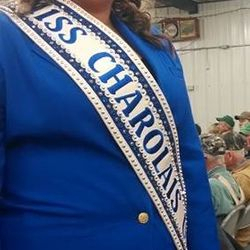 The 1st Runner-Up to Miss Charolais USA will receive a $500 scholarship sponsored by the Missouri Charolais Breeders Association and scholarship contributors. Additional Runners-Up may receive cash scholarships dependent on the amount of scholarship contributors each year. 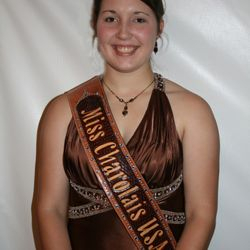 Miss Charolais USA will receive a $2000 travel fund co-sponsored by AICA and Missouri Charolais Breeders Association. 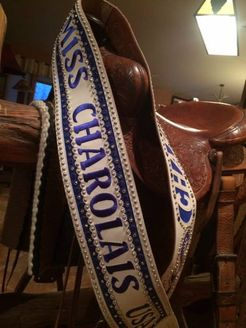 Official Miss Charolais USA crown and crown royalty pin sponsored by Barnard Charolais, St. Joseph, Mo. 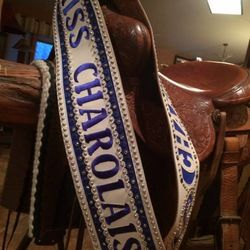 Personal Miss Charolais USA satin sash, Personal Contestant satin sashes, and contestant gifts sponsored by Sparks Charolais Farm, LaMonte, Mo. 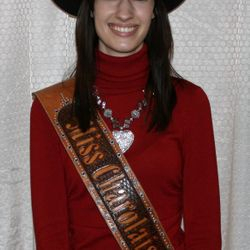 Montana Silver crown bracelet, necklace and belt buckle sponsored by Windy Hill Charolais Farms, Cedar Hill, Mo. 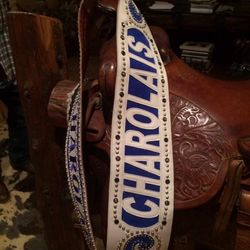 Official wardrobe boots sponsored by the Miss Charolais USA program donors. 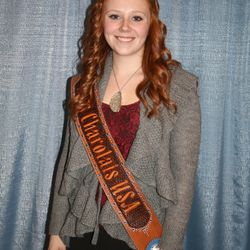 Official wardrobe royal blue blazer sponsored by the Idaho Junior Charolais Association.